The lack of diversity in football management has been brought sharply into focus again by Darren Moore's recent dismissal at West Brom. Moore's departure from The Hawthorns reduced the number of black Asian and minority ethnic managers at the 92 league clubs in England and Wales to six - Chris Hughton (Brighton), Nuno Espirito Santo (Wolves), Chris Powell (Southend), Keith Curle (Northampton), Dino Maamria (Stevenage), and Sol Campbell (Macclesfield). Hughton is the longest serving of the six BAME managers plying their trade across the leagues. 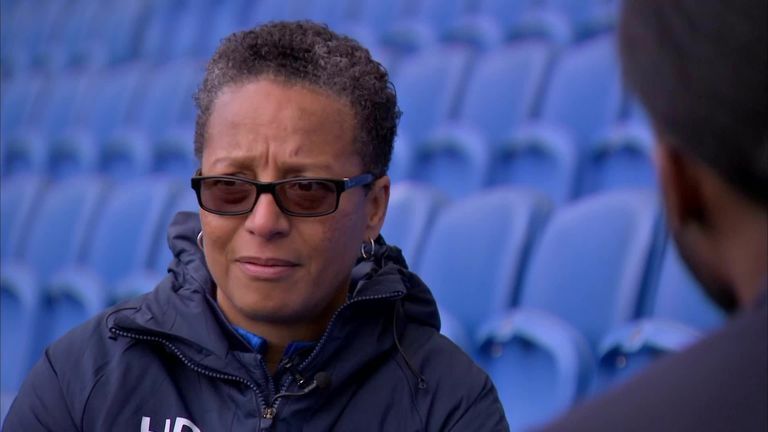 Brighton also have a BAME manager in charge of the club's women's team - former England boss Hope Powell. Sky Sports News reporter Jaydee Dyer went down to Brighton to meet Hughton and Powell, as well as chief executive Paul Barber and the club's head of HR Rose Read to better understand the club's structure and recruitment policy. Our in-depth look at Brighton, as part of our Tackling Racism series of programming, will air throughout Tuesday on Sky Sports News.